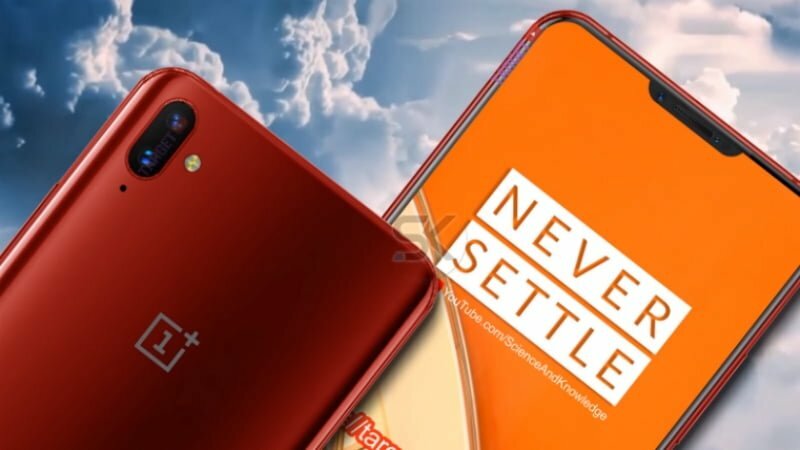 At the start of this year, OnePlus CEO Pete Lau confirmed their upcoming flagship would debut by the end of Q2 2018. Since then a couple of leaks have happened suggesting the phone will arrive with a notched display. New renders based on the rumours surrounding the flagship smartphone have appeared online. 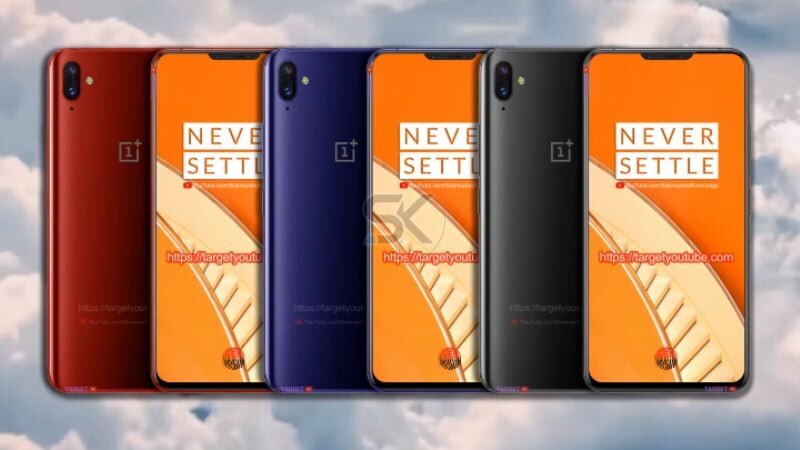 A new video of the OnePlus 6 has surfaced online showing the smartphone in Red, Violet and Black colour variants. It states the smartphone will come with an aluminium body and a 6.28-inch Optic AMOLED display sporting a top notch. The OnePlus 6 video also lists the display with Full HD+ screen resolution of 2280 x 1080 pixels, and it also includes support for DCI P3 colour gamut. Under the hood, the smartphone comes with Qualcomm top range Snapdragon 845 Mobile Platform paired with 8GB of RAM. The device is expected to come in two RAM and storage options, an 8GB RAM and 128GB storage and 6GB RAM and 64GB storage. There is also said to be a 256GB storage model. Other specs in the OnePlus 6 video includes camera details. The device is expected to dual rear camera setup with two 16MP sensors with LED flash. On the front will be a 16MP selfie shooter which will be equipped with AI portrait mode. On the security front, the OnePlus 6 will come with an in-display fingerprint scanner. The phone is also said to bring 3D facial recognition support which is being touted as far sophisticated than Apple’s Face ID. The OnePlus 6 will also carry Cat.16 superfast LTE gigabit connectivity. Other connectivity options including Bluetooth, Wi-Fi, GPS and USB Type-C port. Unlike other companies, OnePlus is looking to stick with the 3.5mm headphone jack with the OnePlus 6 as well. A 3400mah battery with 5V/4A Dash Charge support will fuel the smartphone. The smartphone will run Android 8.1 Oreo flavoured OxygenOS 6.0. As for the pricing, the top end variant with 8GB RAM and 256 GB storage is expected to high as $749. But the low-end variant is expected to start as low as $549 or $569, and it makes complete sense too. Will be dead on arrival in India at those prices!!!! !